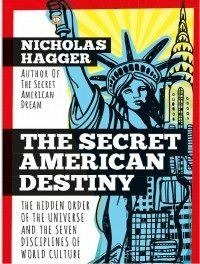 The third in Nicholas Hagger’s American trilogy, The Secret American Destiny, a reflection on the underlying unity of fragmented world culture and America’s role in establishing a UN-based World State: a World Federation. The first two books in the trilogy are The Secret Founding of America and The Secret American Dream. the traditional view of order in each of the seven disciplines.